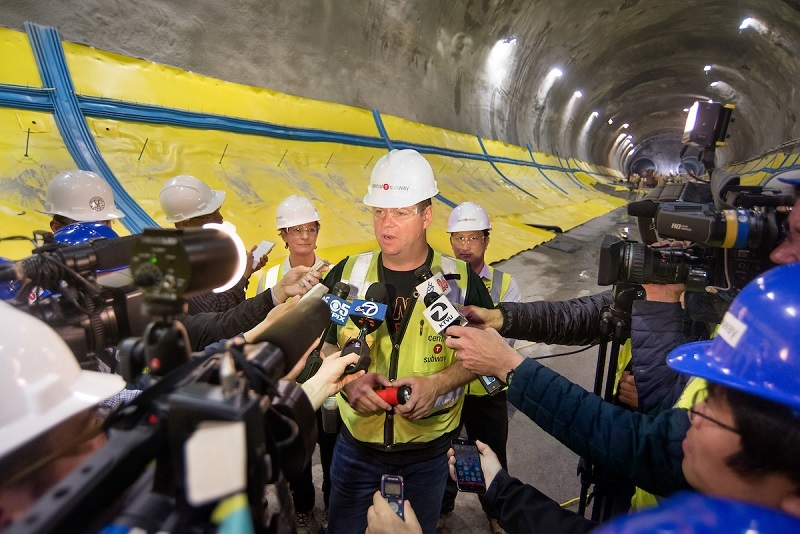 With excavation complete, public transit operator San Francisco Municipal Transportation Agency (SFMTA) has given mayor Mark Ferrell, MTA staff and the media a guided tour of its new Chinatown underground station. Twelve stories below street level, workers have now begun installing a yellow waterproofing barrier to get the station ready for the project’s December 2019 opening. Chinatown station is one of four new stations being constructed as part of a mostly underground 1.7 mile extension of the Muni Metro’s T Third Street line. Mayor Mark Ferrell addresses the media. Photo: SFMTA. This new section will begin at 4th Street Caltrain station and run through South of Market, Union Square and Chinatown. Average travel time between Chinatown and 4th Street station on the subway will be eight minutes, according to SFMTA, whereas the same route via a bus takes 20 minutes. 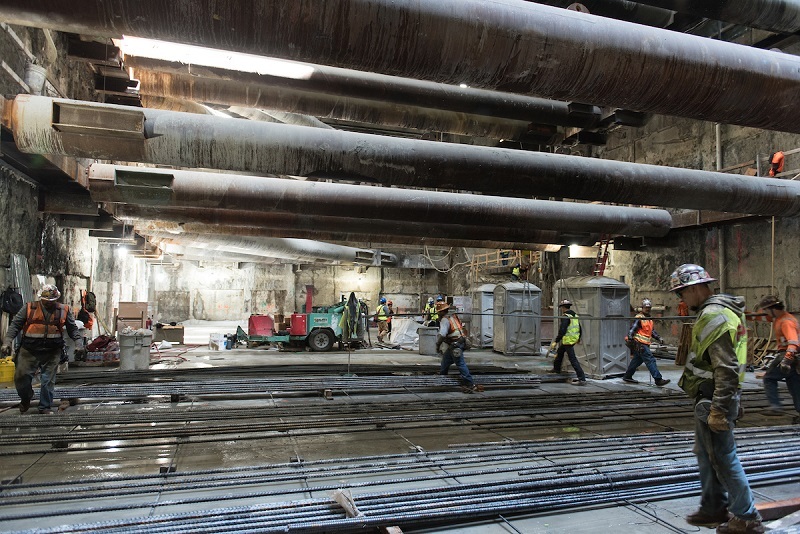 The completion of excavation work on Chinatown station means that excavation work is complete for the entire project.